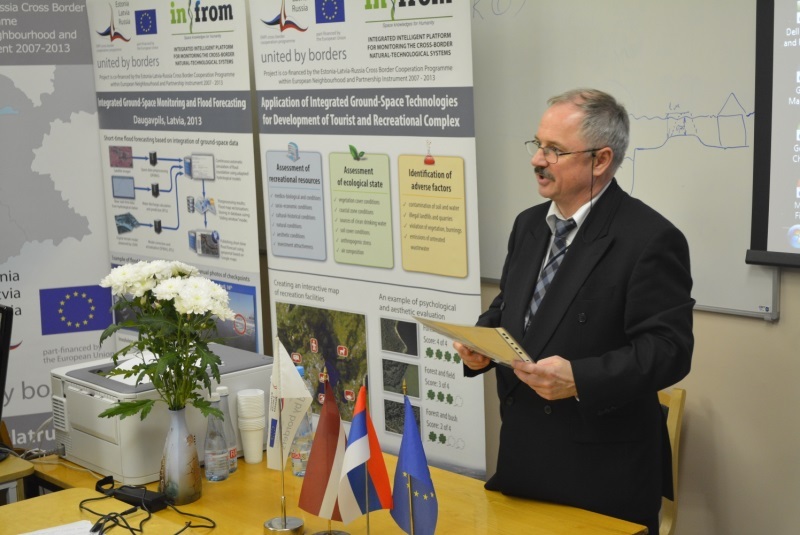 Moving forward to successful implementation of INFROM “Integrated Intelligent Platform for Monitoring the Cross-Border Natural-Technological Systems” within the ELRI-184 Project activities, the training seminar for target groups was organized on November 21-22, 2013 at Riga Technical University (RTU). 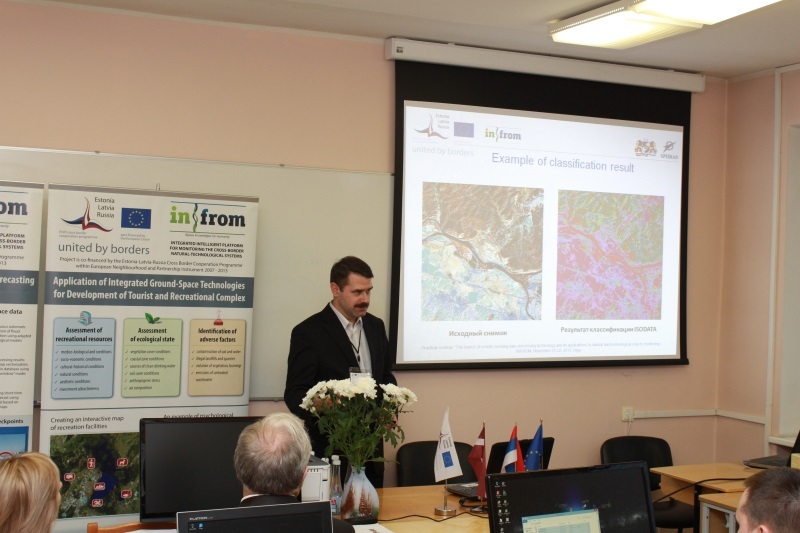 The purpose of the training seminar was demonstrating to target groups the basics of remote sensing data processing technology and its application to natural and technological objects monitoring, as well as to approbate developed integrated intelligent platform for flood monitoring of Daugava river. 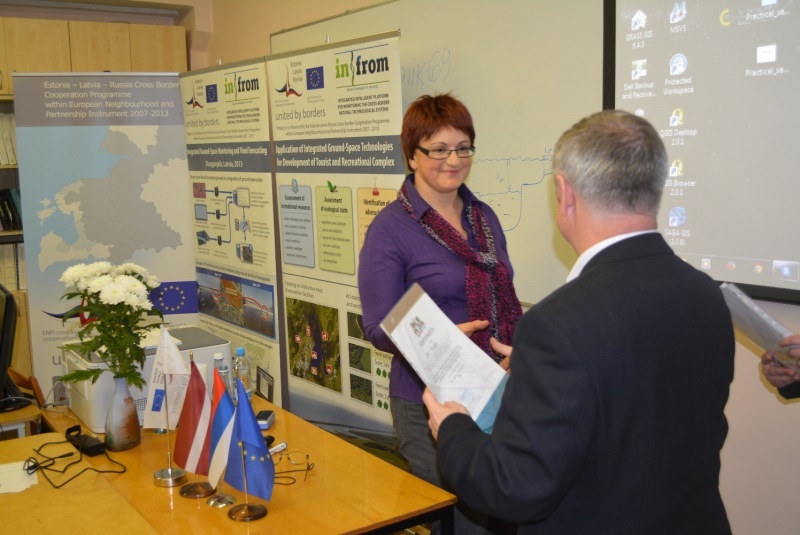 Among the participants there were representatives of the Executive board of the Northern district of Riga city, municipalities of Daugavpils and Madona, as well as officers of the State Fire and Rescue Service of Latvia and academics from Latvian universities. 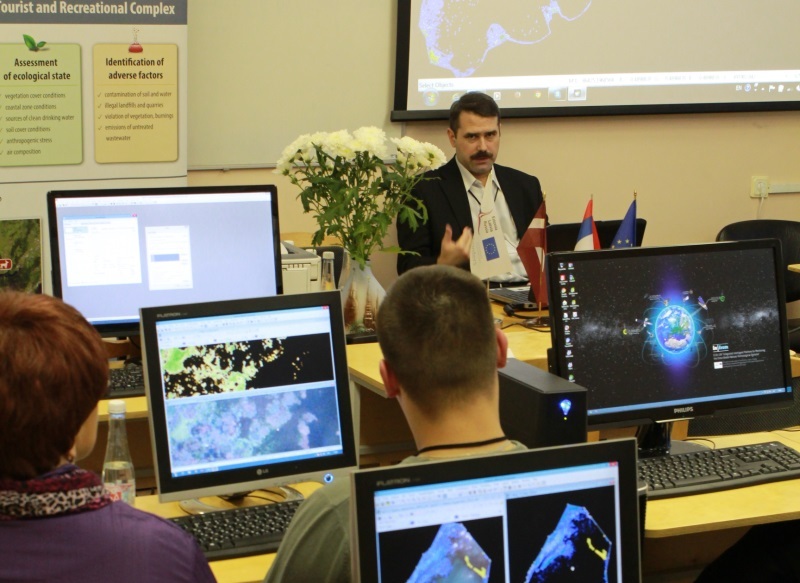 The first day of the training seminar was hold on November 21 presenting theoretical background and practical assignment of geographical information systems in analysis and planning of territorial development using QGIS software. 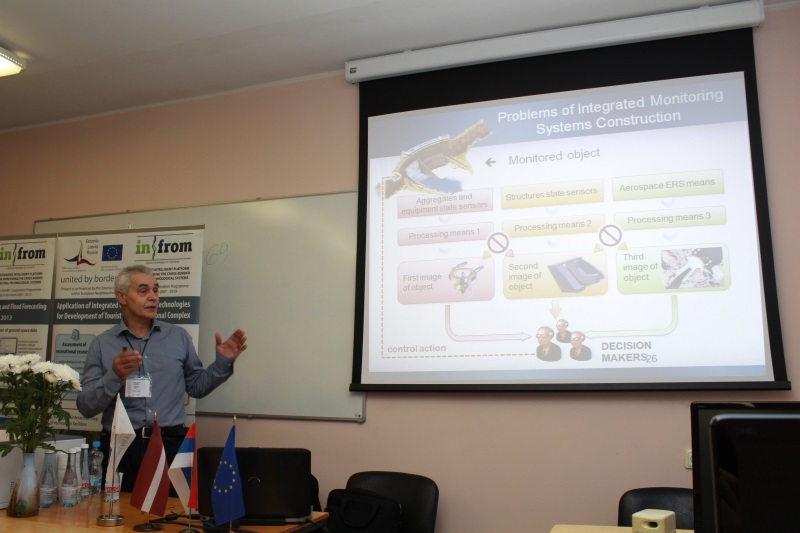 During the second day of the training seminar on November 22, the topicality of the monitoring of natural-technological objects was discussed and functionality of the profound processing technology of remote sensing date by means of ScanEx Image Processor software was demonstrated throughout practical assignments performed by seminar participants under a supervision of INFROM project researchers. 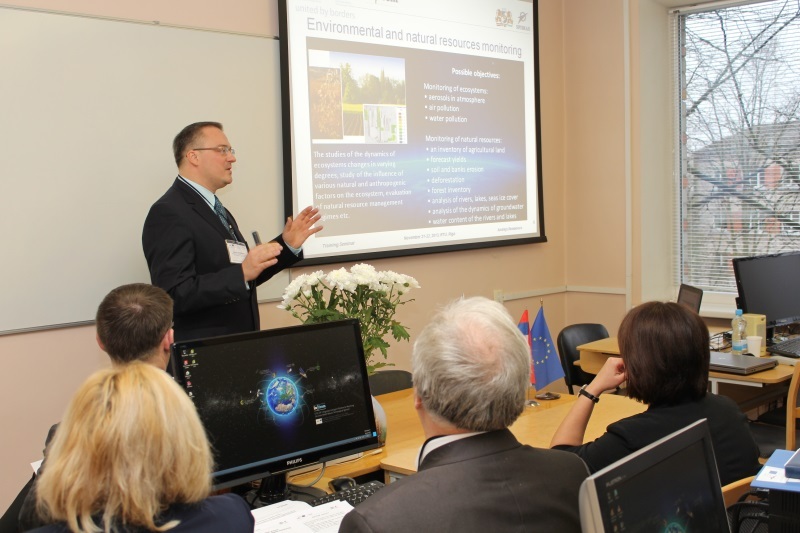 The operation of the developed information-simulation system for flood forecasting was demonstrated to the representatives of the target groups. During the seminar, there was an active discussion, during which the project staff responded to numerous questions of seminars participants according the further implementation of the project developments.